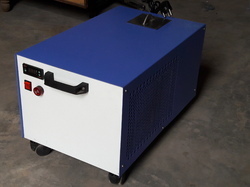 We are a leading Manufacturer of process chillers, fermenter chiller, laser chiller, water chilling machine, portable water chiller and spindle chiller from Delhi, India. Being the most respected organization guided by experienced and knowledgeable professionals, we provide an enormous assortment of Process Chillers. 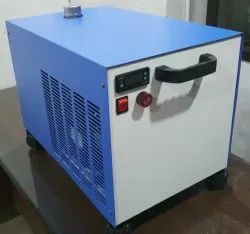 Broadly utilize in Lab and diverse machine to cool the equipment or media, the offered process chillers are designed by consuming superior grade basic material and modern technology in accordance with quality standards. Apart from this, the offered process chillers are available in various specifications as per the details laid down by our customers at market leading prices. We have marked a distinct and dynamic position in the market by providing a high quality array of Fermenter Chiller. These chillers are precisely developed by our highly capable professionals utilizing top quality basic material and advance technology. The offered chillers are available in various stipulations according to the requirements of customers. 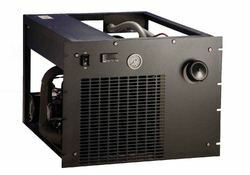 We are manufacturer of water chiller used for Laser Cutting / Engraving Machines. These chillers are completely examined by our quality experts for ensuring its proper functioning. It will give alarm in case of low water flow to the tube or in case of high or low temperature. It will stop laser firing in the event of either high low temperature or Low water flow or blockage in water flow . The range of chillers is known for its high performance low maintenance in front of our customers. 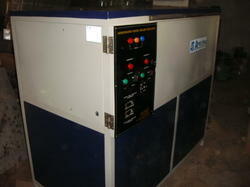 We are offering these chillers at very economical prices along with various specifications customization options. Tank made of Stainless Steel Chiller Body is made of GI/ CRC sheet, Powder Coated Magnetic pump to circulate water, no seal, so no leakage Silicon pipe piping for water. 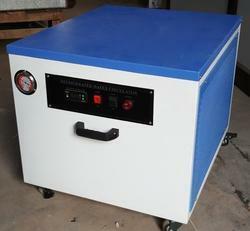 We manufacturer Water Chilling Machine for various Lab & industrial applications. 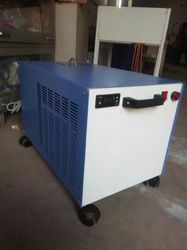 We manufacture Portable Water Chiller used for eva hot & cold machine used for embossing design on Shoe. We manufacture Spindle Chiller. It can be used for Cooling the spindle and keeping its temperature to the required level. It helps in improving the working of the spindle and increasing the life of the Spindle.